Writer and star Rakefet Abergel's turn as the lovesick Jax has won several awards. I'm not sure that matters as much as my getting slightly creeped out because she reminded me of one of my brother's ex-girlfriends. She was so much like a woman I know that I got chills at the thought of that relationship ending up like what happens in JAX IN LOVE. I really can't say much about what happens in the film because the scares and unease comes from where and how the story goes. Running a brief 20 minutes there isn't any wasted moments. What I can say is that a young woman named Jax is out driving in the desert when her car breaks down. Calling for help she tells her boyfriend's friend that she is out looking for him...but there is a bit more going on. I know Colin Campbell is the director of JAX IN LOVE but I don't know how much directing he really had to do since this is all Rakefet Abergel's film. 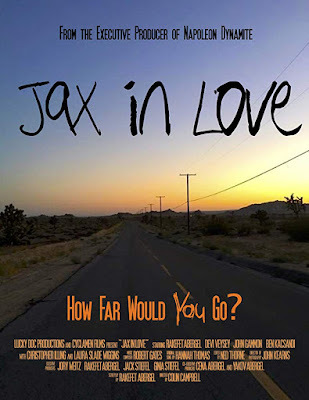 She wrote and she acts with such great conviction that one has to wonder how close Jax is to her real self. One kind of gets the sense that all he had to do was point the camera and Abergel did the rest. It's a super performance and I can understand why she has won numerous awards. The film itself is pretty good. It produces tension through out but suffers from having a point where you can kind of figure out what is happening. It's not remotely fatal but Abergel the writer should have given Abergel the actress a little less obvious place to go. Regardless of my quibbles, this is a solid little film and definitely worth seeing when it plays in a festival near you. 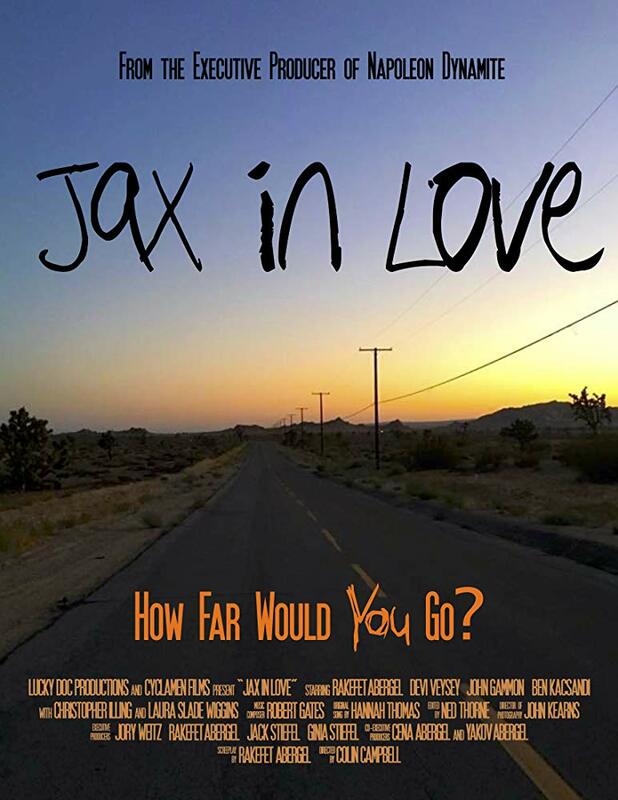 JAX in love plays tomorrow at the Hollywood Horror Festival. For more information and tickets go here. For more information on other screenings go here.